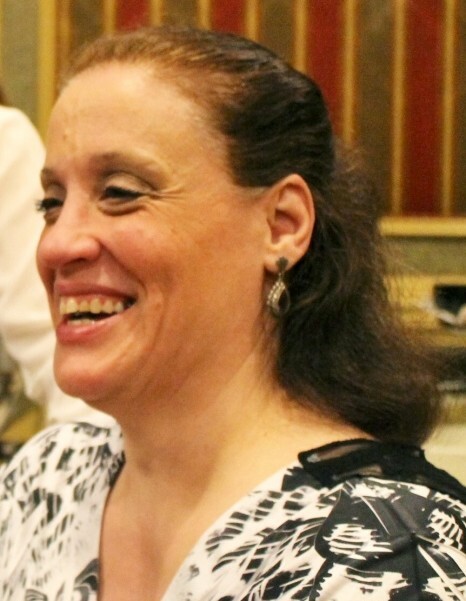 Nadine M. Nieto, 54, of Barnegat passed on Saturday, July 21, 2018. Born in Montclair, NJ she formerly resided in Paterson and enjoyed working as a pre-school teacher for the Twinkling Stars Pre-School in Bloomingdale, NJ. Nadine moved to Barnegat 12 years ago. Surviving are her five beloved children, Sophia, Isabella, Jayden, Tessa and Grayce; her beloved mother, Joyce Nieto; five loving siblings and their spouses, Denise Armagno, Michelle and Baslan Dablan, Anthony and Beth Nieto, Joseph and Kristen Nieto, Nicole Nieto and Miguel Ariste; six loving nieces and nephews, Angelo and his wife Nadia Armagno and Zachary Armagno, Taher and Mikayla Dablan, Joseph and Demetria Nieto. She was predeceased by her beloved father, Anthony Nieto. Viewing will be private. Relatives and friends are invited to attend the Mass of Christian Burial Thursday, July 26th, 12:30 PM at St. Mary's Church, Barnegat. Interment will follow in St. Mary's Cemetery, Manahawkin. In lieu of flowers, please make a donation to "Dina's kids by way of Nicole Nieto, 37 Watts Ave., Barnegat, NJ 08005."